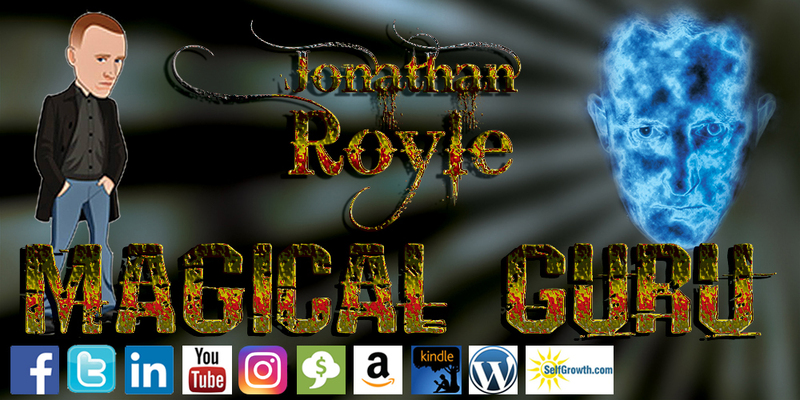 Whether Your a NLP’er, Life Coach, Hypnotherapist, Stage-Hypnotist, Psychic Consultant or indeed involved in any area of the Alternative Healing Arts or Performance Industries then you owe it to yourself to take some personal training with the true master of Advertising, Marketing, Publicity and Promotion, yes that’s right it’s me Jonathan Royle! Now I don’t want you to have to take my word for it so consider this, recently I was approached by JAMES LAVER’S of www.jameslavers.com and he interviewed me at length and released these interviews with me about my Product Merchandising and Advertising/Marketing Secrets as part of his “NLP Masters Of Passive Income” Home Study Package! When you consider that James Laver’s has in the past consulted with and worked on marketing projects with and for the likes of Anthony Robbin’s and Paul McKenna amongst many other big names such as Uri Geller and you will quickly realise THAT I MUST BE GOOD AT MARKETING or why else would he have approached me to take part in the project? I am extremely grateful to Jonathan Royle for the original ideas that they shared during their Marketing for Hypnotists seminar; Everything shared over the weekend was fresh and dynamic – exactly what I would have expected from one of the country’s leading experts in their field. However, the information and advice given, whilst aimed at Entertainers and Therapists, has since been equally as valuable to me in other promotional activities, and has helped me reconsider my approach to advertising, networking and much more, and I have certainly benefitted from it. Now, as a self employed entertainer I find myself constantly referring to the discussions held, to ensure that I am doing everything possible to make the most out of the my client base. I have now earned many times the cost of the seminar, directly due to the knowledge of Jonathan Royle. Probably the most impressive part about the seminar was that the concepts given throughout the weekend were intentionally only the beginning of the journey, to ensure that delegates weren’t all leaving with exactly the same plans, and so watering down the power of the potential power of the ideas. This was stuff that you could never learn from a book. experts in the field consult with him when they are unsure of certain things. Some may not like his teaching style but he holds nothing back and all I can say is I have learnt so much from him and for which I am sincerely grateful. His style is not for everyone, his language is offensive on occasions but that is his style. All I can say is try it and see what you think ! You are the World’s best Hypnosis Trainer! I just wanted you to know that I got my latest package from you yesterday! I plan to use the money I make with your products to fund my real estate deals! This is my year and its time! The one thing I have noticed in all but 1 hypnosis training course. Nobody has a script to be a confident hypnotherapist except 1 person and that person is you! ” I used to think Royle was a complete idiot but I was wrong although I still think he is completely mad these DVDs have given me a new found respect for the man, very funny but he knows what he is talking about”. I am rather late with this as I have been busy putting into practice what I learned but I wanted to say what a great weekend it was. Absolutely packed with useable information (as opposed to the sort that sounds great on the day and is totally useless in the cold light of the next day), inspiring and thought provoking. Thanks to Jonathan and his team. If you weren’t at the seminar this weekend you missed a great event. JR crammed the weekend as always with so many money making ideas it’s difficult to know where to start. He always delivers more than you expect and we walked away with the licence to over 7,000 products to get started including many ready made websites. No excuse not to get started straight away. If you missed it buy the DVD’s!! Absolutely fantastic, professional, not a break in presentation so that the amount of info. was amazing and the one-to-one mentoring for the next 28 days will make all the difference to my business. Really valuable, I’m expecting to increase my turnover well above the £5k in three months promised. Book NOW for the next Seminar, sorry the one at the weekend will not be repeated, well sorry for the people who did not attend, not for me who did attend! If I said Jonathan provided a unique blend of techniques to provide information on things to use that very few do currently which has clear reasoning as to why it does work in an explanatory, humorous, honest way which was not only thought provoking but also guaranteed to work. Or if I said that you kindly extended the sessions as you actually gave even more information than you set out to which not only provided guaranteed business success, Maybe I could even say that as Jonathan clearly stated that there is now a group of marketing assassins who are now going to be taking the country by storm with the techniques they used which you all readers of the group could have been a part of, all of this was and is true! I was totally ” Blown Away ” with the amount of quality information which was imparted to the delegates in Rochdale. The training style Jonathan has is Unique ” and Powerful and I cannot recommend him highly enough. Those who do not implement what we were taught will only have themselves to blame ! I would like to say many many thanks for the most candid, unusual, valuable marketing strategies that I have ever heard of. The information we learnt in two days can’t fail to take all our business to the next level and produce loads of client’s money and media coverage. The complete system to follow will achieve consistent results and this information is worth a fortune far far more than the cost of the course. Thank God I went! My head is buzzing with so many new ideas that I have already started to implement them. What’s more it was great fun and good to meet yet more new people. Big thanks to Jonathan for over delivering on the seminar. I picked up loads of ideas which I’ll be putting into use immediately. The system that was revealed to us was an absolute gem. I got more money in the pocket ideas in two days than I’ve had from other so called marketing seminars (which charged me much more for much less) so cheers Jonathan. does is say “Do this, Do that and You will earn this amount”, simple and straight. hours much more than any other trainer I have experienced. He gets right down to the point, straight away without the need for beating about the bush. I recommend Jonathan’s training to those with a business and those who want to really make a success of their lives. IMPORTANT NOTICE = The Vast Majority of the people I advise on matters such as Public Relations, Advertising, Marketing, Publicity and Promotion are high profile individuals, major companies and celebrities whom have asked to remain nameless. INSTANTLY GENERATE FOR YOUR BUSINESS WHATEVER SECTOR YOU ARE IN.